Looking to start taking the LARE? Already started but need some extra help? 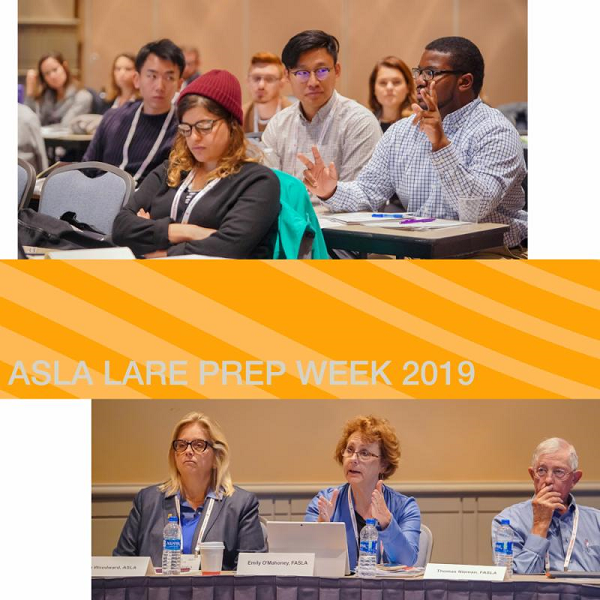 Join us for ASLA LARE Prep Week 2019 for a week long of webinars that will share information on the licensure and LARE exam processes. The webinars will also explore study strategies and test-taking tips that apply to all four sections of the exam. Register below and bring your questions for the seasoned and newly licensed landscape architects after the presentations.